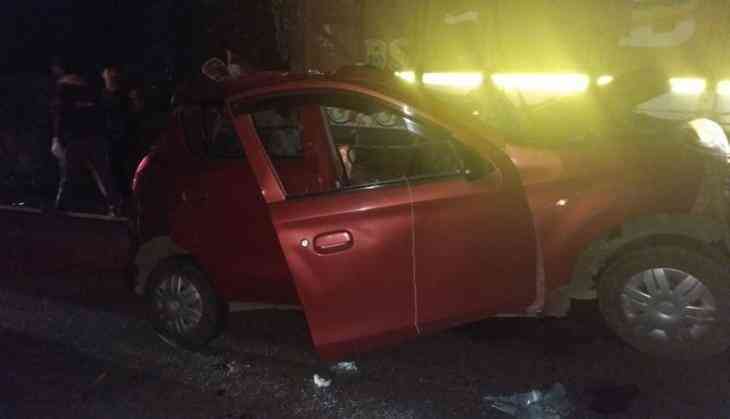 Four people, including a woman, were killed in a road accident at Pune-Bangalore Highway near Katraj in Pune on 11 December. Yahswant Mane (55), his wife Sharda Yashwant Mane (46) and their son Rushikesh Yashwant Mane (17) were travelling from Pune, when the family met with the accident. Krishna Surve (65), who was behind the wheel, also died in the crash. The accident took place when the family was returning from Pune after dropping their daughter at a college in the city.